Personally, I prefer our picture books to reflect the original versions of the stories as much as possible. I don't mind a little revision, but it would seem that I must accept some. I am definitely not on the lookout for sanitized tales but picture books are going to be kind with the visuals and I do appreciate that very much! 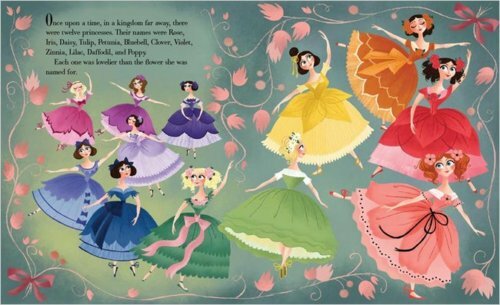 I prefer our fairy tale picture books to have a more classically illustrated feel about them, with few exceptions. 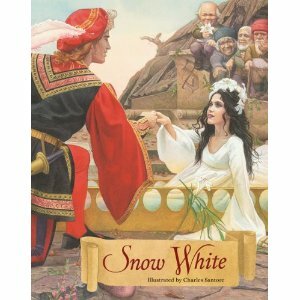 Fairy tales are a thing of beauty and I think the books we own should reflect that. The Story of Little Red Riding Hood , by Christopher Bing was my favorite of the ones I browsed through. If a wolf ends up eating them. Are the most dangerous of all. Lastly, for this post, is Paul O. Zelinsky's version of Rumpelstiltskin . In this retelling of the story, Rumplestiltskin runs away never to be heard from again. This is in keeping with the original 1812 telling of the story, which was later revised in 1857. The 1857 version has Rumpel flying into a rage and stomping his foot into the ground, creating a chasm which he falls into. Either which way, he doesn't get the Miller's Daughter's baby. Which again makes one wonder where Once Upon a Time is going to do with Rumpel in the end. Any guesses?! I'll share more of our home collection of fairy tales tomorrow so stay tuned! I love the Zellinsky books. (Rapunzel is also wonderful.) 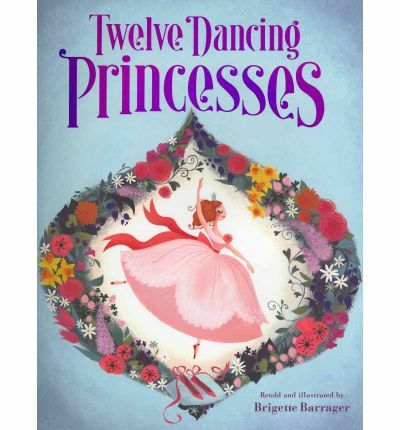 My kids' favorite dancing princesses is the Marianna Mayer version, but it's a little too pretty for my taste. I love fairy tales. And you're right hey were my first taste of defeating ones own boogey monster. The Grimm Red Riding Hood is my favorite too, I had never seen the moral before, very interesting! I collect fairy tales, and now Z does too. My grandfather read my fairy tales out of a giant book of compilations, I have yet to find that copy. It has The Seven Swans Tale in it, it was my favorite. I remember that it had a white cover with blue writing. I love the LRRHood moral. Thanks for this list. Though we have read a lot of fairy tale picture books, I don't think we've read these. I just ordered them all from the library. What a neat collection. I think we may have had a general book of a collection of them and may have read some individually from the library. 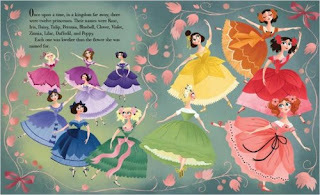 I think the 12 Dancing Princesses one looks SO good! We had that copy of Rumpelstiltskin and I used to love looking at the pictures in it.